This is my first MyBB forum and I've probably spent 3 hours alone today trying to install this plugin. I'm able to connect to my server with FileZilla and I tried to install this plugin, but I cannot find any step by step instructions for installing it. I'm getting the following error when I open my dashboard. Here is a screen shot as well. I'm at my wits end with this and while I am a network engineer, this stuff is completely foreign to me and I would appreciate any help. I did also try to install the Plugin Uploader and I followed the step by step instructions for that as well hoping I could use it to upload EZGallery but it too does not work. I'm about to give up on this. I think you uploaded the files to wrong area based on that error message which that line of code does not exist in the admin area of the plugin.. In the zip file you need to keep the folder structure upload all the files/folder to root directory of your forum. Thank you, I don't understand how but I had a feeling that was the case. The problem now is I can't seem to undo what I did. I removed the folders and files with FZ, but I can't get that error message to go away. Here are pics of what is confusing me. The first file is my file structure from FZ. The second one is the file structure from the EZGallery folder. 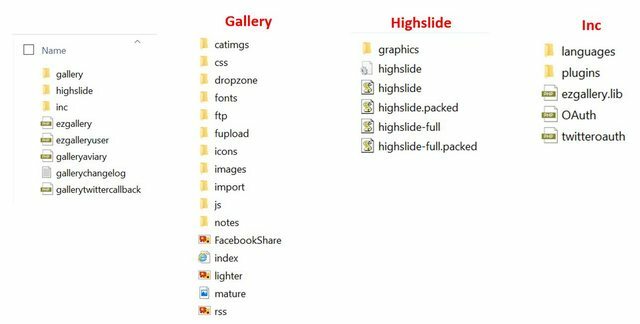 Where folders do not exist, do I put the EZGallery folder in the /public_html root? Once I understand this I would be happy to do a basic step by step and post it if it helps another dummy like me. Thank you, I'll give that a try and post my results. Good news, my friend got it working for me and I was able to activate it. 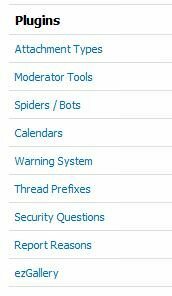 I'm not seeing a members gallery link on my forum though and I've read through the other topics in support but I'm not seeing what I'm missing. Here are screenshots if they help. I figured that's how it should look and I did notice the demo page. For some reason I don't have that, and the 2nd picture above shows that. If you can give me any pointers for editing my header template to make it work, I would greatly appreciate it. Thank you very much, I greatly appreciate it.